Secure server connections are crucial. The last thing you want is for your server to be hacked due to key leakage or SSH brute force. We dont want that either, which is why weve put together a comprehensive guide to help make your SSH connection secure. Use it along with this free tool from Kromtech and youll be confident in having a more secure SSH connection. 1) You may not have key authentication on your SSH connections. Passwords arent enough. Take advantage of SSH key exchange instead. 2) Your SSH keys may be not stored securely. If you are using SSH protocol in your daily workflow, you might be using keys to log in to your service. The common way of storing SSH keys is to put them in .ssh/ in your home directory. But how secure is that? Any program that runs with user rights can successfully steal your keys without any interaction from your side. It gets worse. By accessing the .ssh/known_hosts file, ANY program can view list of servers that you have connected to. 3) Your AWS credentials might have open rights too. This means that any program on your computer will have access to your AWS private key file, granting it the exact same access to your AWS infrastructure as you have. Thats bad news, but you can use the Key Inspector to fix that. If things dont check out, dont worry. This tool will provide you with specific commands to fix permissions and guide will help you to set up encryptions on your keys. How do I encrypt my keys? Need more info on the differences between public/private keys and how they work? Check out this video. Generating a new key pair takes a little longer, but it's the smart thing to do. If your keys have been compromised, it will render them useless. Your second option is to create an encrypted version of your existing keys. ssh remote-user@remote-server "cp -R ~/.ssh ~/.ssh_backup"
This command will open a guide, which will generate a new key pair for you. If you don't want to specify a name/path for your new key, just press ENTER to save it in your user home directory under “id_rsa” name. If you already have the key stored under that name, the program will ask you if you want to overwrite it. The next step is the most important part of generating a secure SSH key: setting a passphrase. You NEED to set a passphrase for your key or it will be stored unencrypted. Next, you can run key-inspector to make sure that you generated a secure key. If you see “Key 'id_rsa' is encrypted” then you've successfully generated an encrypted key. Use following command to ADD your new public key to your server. After this step your old key will still work. You will need to replace “remote-user@remote-server” with your username on remote server and remote server address and “.ssh_backup/old_key” with path to your old key. cat ~/.ssh/new_key | ssh remote-user@remote-user -i ~/.ssh_backup/old_key "mkdir -p ~/.ssh && cat >> ~/.ssh/authorized_keys"
Use the following command to log into your server. If it works, then you did everything right. The following command will log you in to your server using your fresh key and OVERWRITE your authorized_keys file with your public key, removing everything else. Every other key (including the old one) for this user will stop working after this step. cat ~/.ssh/id_rsa.pub | ssh remote-user@remote-user "mkdir -p ~/.ssh && cat > ~/.ssh/authorized_keys"
Double-check that your new key works as needed, and then delete your old key and backup folder. ssh remote-user@remote-server "rm -rf ~./ssh_backup"
If you are not the only person using a particular key, or if you are unable to reissue it, you have the option to encrypt the existing key. Encryption is next. Youll need to create a passphrase for your key. Use the following command to log in to your server. If it works, then you did everything right. Double-check that your new key works as needed, and then delete the backup folder. Failing to use key authentication on SSH is problematic but you can fix that in a few easy steps. This process is similar to creating a new key. If you don't want to specify a name/path for your new key, just press ENTER to save it in your user home directory. Next, you can run key-inspector to make sure that youve generated a secure key. If you see “Key 'id_rsa' is encrypted” then you've successfully generated an encrypted key. Use the following command to add your new public key to your server. You will need to replace “remote-user@remote-user” with your username on the remote server. 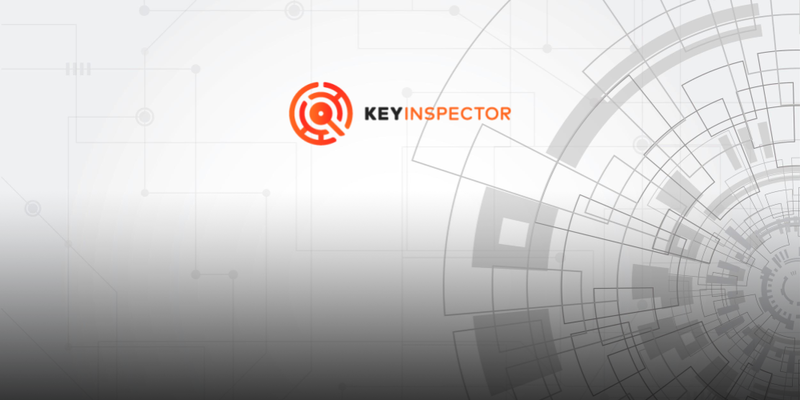 Use key-inspector one more time to validate your steps. Although staying secure in 2018 is hard, Kromtech's Key Inspector and this guide will help make your key storage more secure. Dont forget to share this article with your friends and co-workers, and help make their key storage secure too.